HOME /Blog /Original ideas for an unforgettable first date. The first date could become the most important event on a way to a happy long-lasting relationship. Especially in the light of St. Valentines Day, a feast of the patron saint of all those in love. Many of us start planning long ahead for that special, one of a kind day filled with unforgettable memories. Dinner at a fancy restaurant, going to a movie or taking a romantic walk on a beach, all these are great ideas for the first date. But how to make this day extra special and memorable? Below we share some of the ideas on how to create an unforgettable first date impression and to sweep your sweetheart off her feet. How to use UGears 3-d puzzles for a perfect first date? All UGears 3-d puzzles feature unique and original design along with extraordinary engineering construction that allows for models’ self-motion. 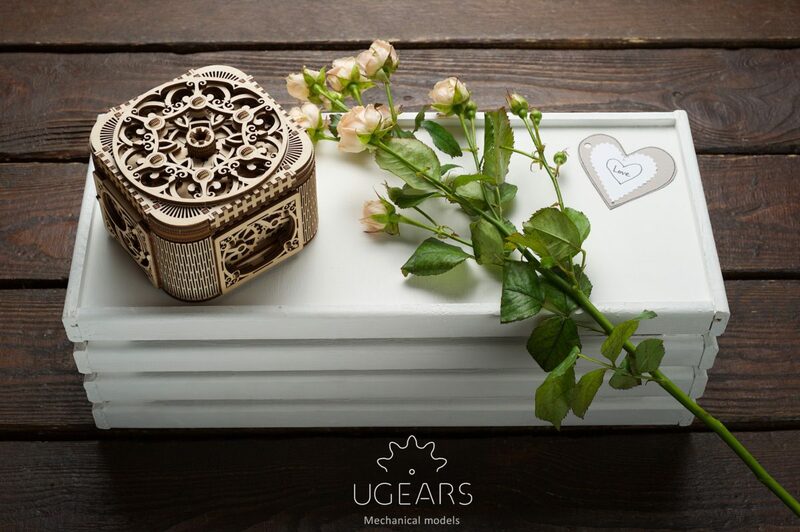 Include one of UGears models into your romantic date setting to create one of a kind impression! Surprise her with an unusual gift! Your date most likely will appreciate a token of affection presented to her on your first date. 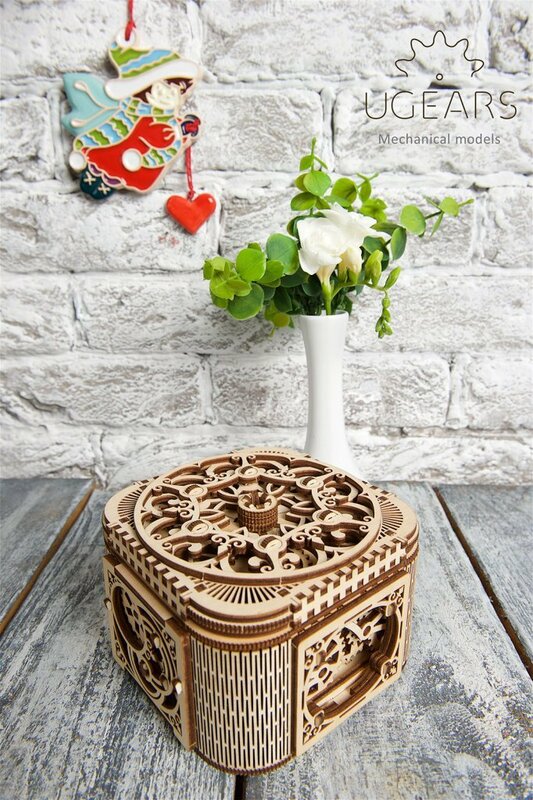 With UGears Mechanical Treasure Box you can offer her something more than just a small gift! Use an assembled Treasure Box as an original way to give jewelry or movie tickets and create an unforgettable impression and ensure the future dates! Create an unforgettable first impression. Surprise him and win over his heart with a gift of UGears Heavy Boy Truck VM-03 3-d puzzle. This replica of a classic tractor trailer is not only a realistically designed wooden truck model but a real moving miniature of the vehicle that is set in motion by the work of self-propelled rubber-band mechanism. And what could bring two of you closer and help to get to know each other if not a couple of hours of working together? 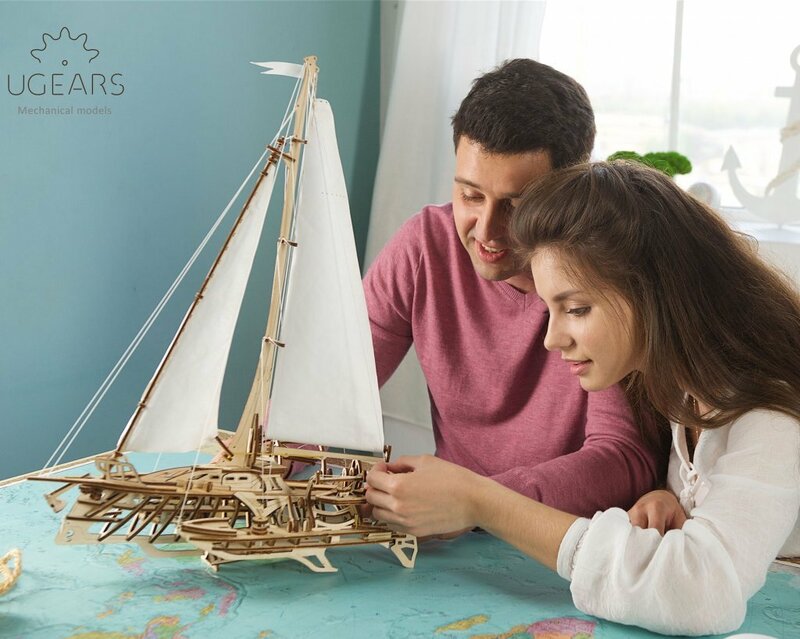 A symbolic of a long journey together, the UGears Trimaran Merihobus can become an ideal gift to communicate the sincerity of your intentions! Spend no more time searching for a perfect gift, check out the UGears online catalog and choose from dozens of exciting 3-d sets to make your first date the most unforgettable!